If you’ve ever thought about pulling out your blender to make a smoothie, sauce, or dip, and then held off because you didn’t want to clean 3,000 different parts, this deal is for you. 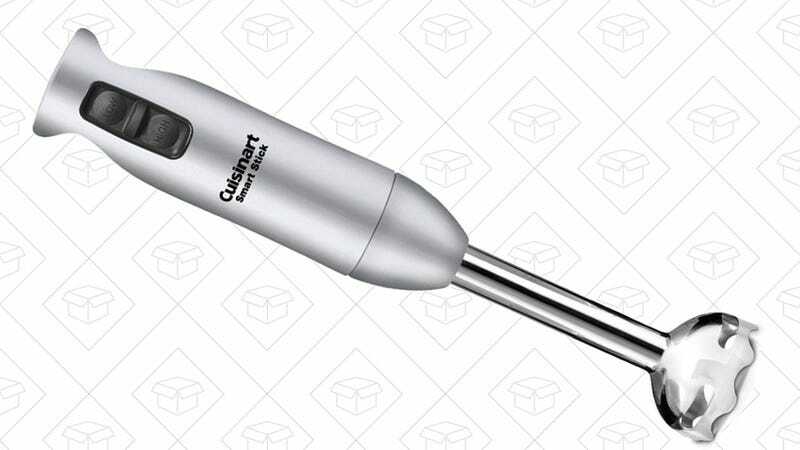 The 4.5 star-rated Cuisinart Smart Stick Hand Blender is down to $29 today on Amazon, the best price they’ve listed all year. As always, we don’t know how long this deal will be available, so be sure to grab one before the price shoots back up.